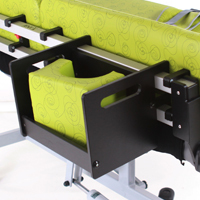 Developed with the aid of feedback from therapists and care staff, Jiraffe are delighted to bring you the Ly-on; a real solution to the challenge of positioning children who have complex postural or medical needs. 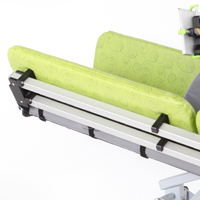 Ly-on offers the ideal platform to build a structured yet safe and comfortable posture quickly and easily with no tools required. 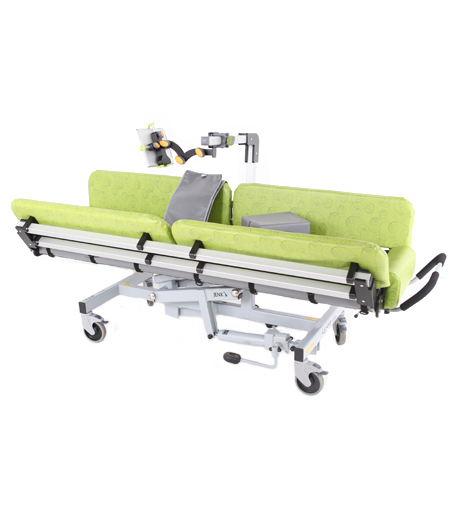 The versatile base offers a wide range of height adjustment – coming low enough to enable children to engage in floor based activities and raising high enough for even the tallest of care staff to have a comfortable and safe working height when engaging with the child. 15 degrees of tilt in either direction allows for opportunities to change weight distribution to aid in pressure management. 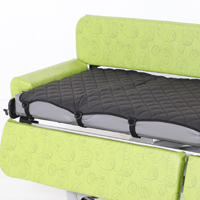 This tilt can also be utilised to provide a comfortable and safe position for a child to receive their enteral feed and can also be used for therapeutic drainage positioning. 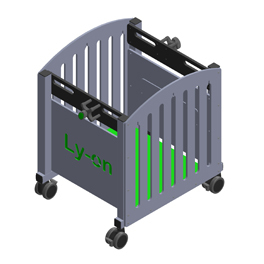 Ly-on is designed with practicality in mind and is ideal for use with multiple children due to its hygienic wipe clean material and removable washable covers. 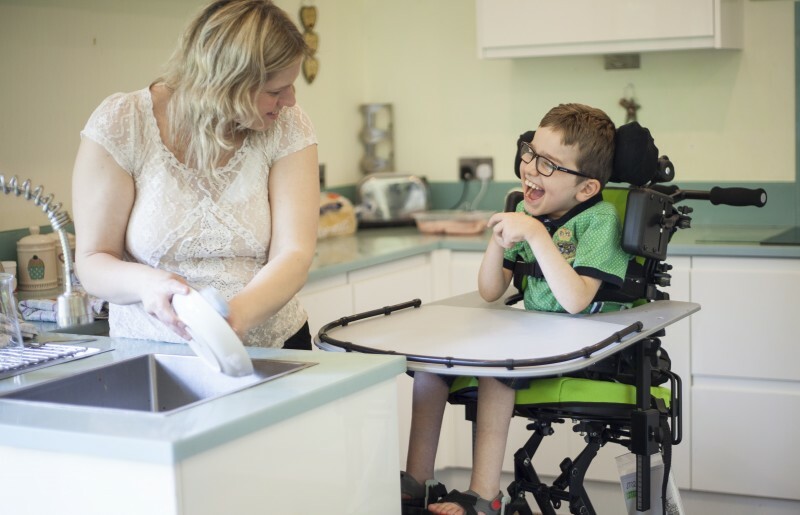 A wide range of positioning blocks ensure that even complex body shapes can be comfortably supported – and if there is a particular shape you need, just let us know, all of our positioning blocks can be customised for an exact fit. 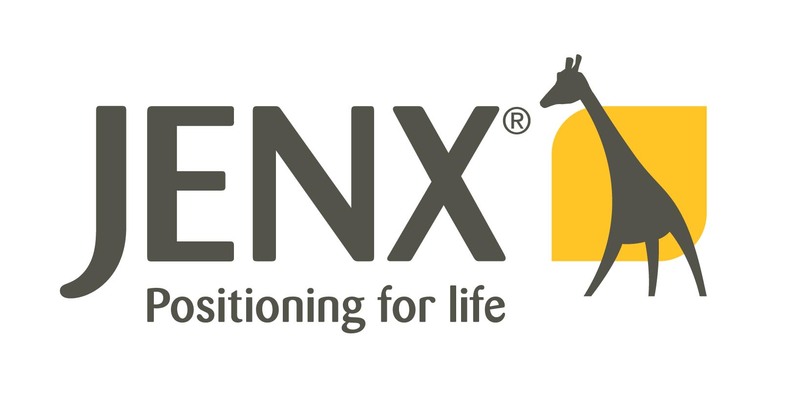 Easily clipped into place, these accessories allow the child using the Ly-on to be entertained – especially useful during long periods of lying, like when receiving their enteral feed. 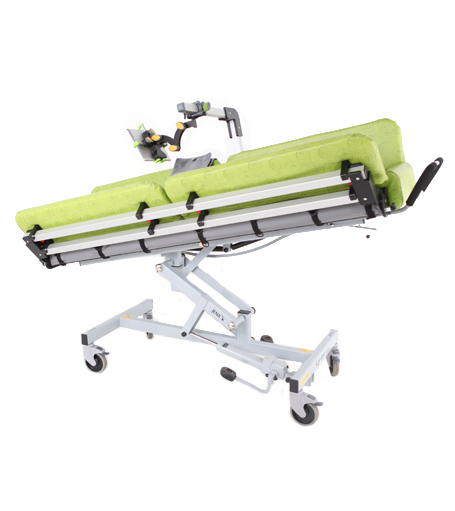 The support platform offers a height range of 520mm to 1010mm via a hydraulic pump – no need to find a mains socket or worry about charging batteries. 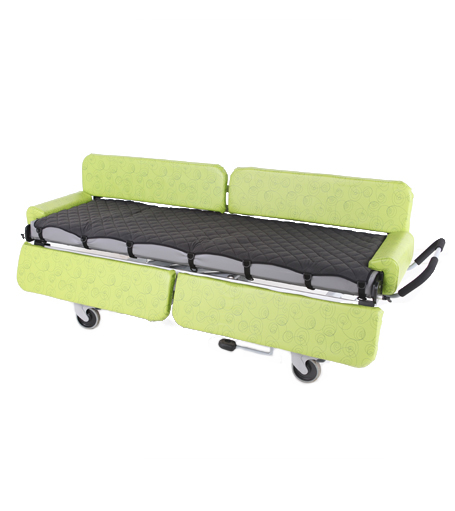 Numerous shapes and sizes available to accommodate children with differing postural needs. 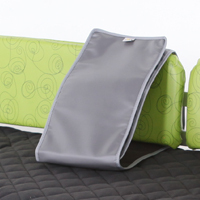 Removable and washable at 60 degrees, this sheet allows for precise positioning of the various support pad options. Additional sheets can be purchased for a multiple user environment or where heavy soiling may occur. 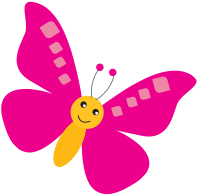 Allowing for easy engagement with the child and also making transfers in and out of Ly-on safe and dignified. 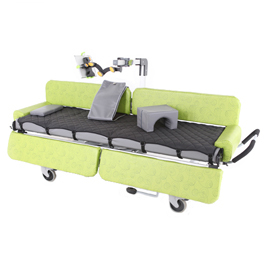 A simple cart that allows for storage of multiple accessories – no more hunting around for support pads or straps. 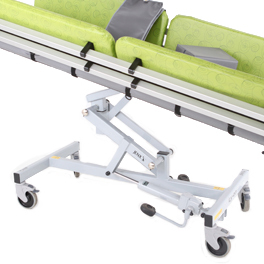 Safely attaches to the side rails - a useful storage area for items such as ventilators and feeding sets. An ideal way to keep all Ly-on accessories in one safe place. 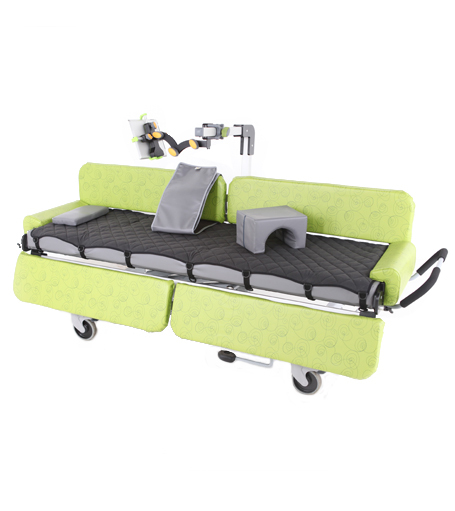 With 4 locking castors and 2 Accessory Mounts as standard the Accessory Cart can be easily moved around the room. 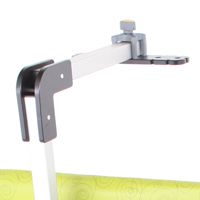 Simply clips onto the side bar, this mount is used to receive either the Rotation Control Frame or Activity Frame. 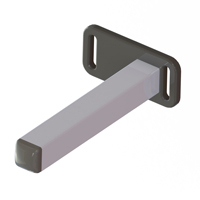 Push-button release makes it easy to position this accessory anywhere on the side rails. Multiple Accessory Mounts can be used at any one time. 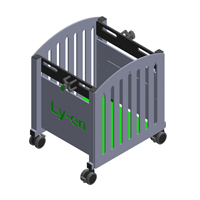 An ideal platform to tie toys or items to engage the child’s attention whilst using Ly-on. Requires Activity Frame and Accessory Mount. 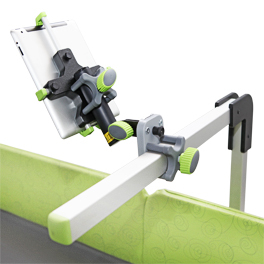 Used to support either the Tablet Holder or Tie-on Beam, this accessory allows for the precise positioning of items for the child to engage with. Requires Accessory Mount. Available in 2 sizes. 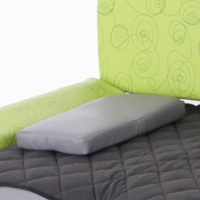 Quilted for additional comfort and machine washable at 60°. 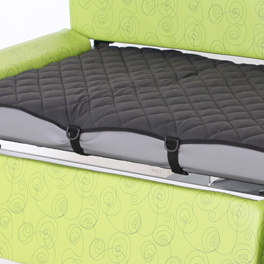 The Hook Receptive Sheet allows for precise positioning of the support blocks. 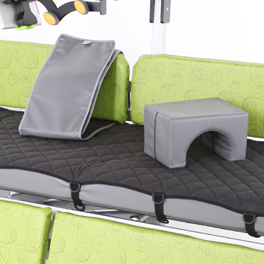 Ideal for supporting legs in a side lying position and to create leg abduction. Available in 3 sizes. 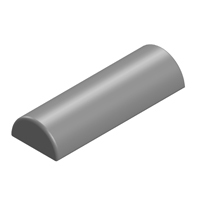 Comes as a pair to aid in correct height setting for a neutral head position. Comes in wipe-clean grey PU material. Used to secure the Hook Receptive Sheet in place. These tabs are provided in packs of 10. 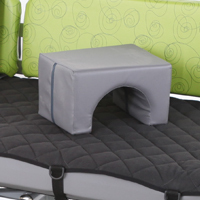 Allows positioning and support of the child in numerous positions as required. Available in various sizes. 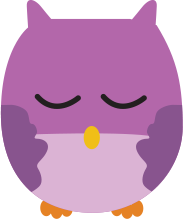 Allows for a neutral head position. Memory foam material covered in grey wipe-clean PU. Used to give a point of leverage to aid in controlling pelvic or trunk rotation. Use with Rotation Control Strap. Requires Accessory Mount. 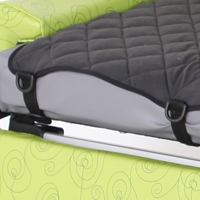 Available in 3 sizes, this strap works in a similar way to the Side Lying Strap, but with the added feature of being able to be pulled to control a rotated pelvis or trunk. Requires Rotation Control Frame and Accessory Mount. 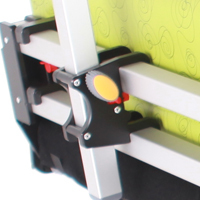 This strap allows for controlled positioning of the pelvis, trunk or legs. Available in 3 sizes. Available individually in heights of 200mm, 250mm or 300mm. 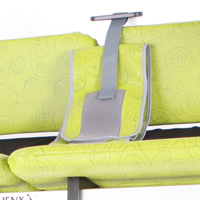 Side Walls available in green vinyl only. 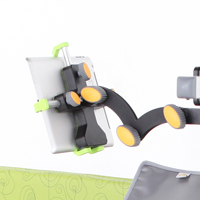 This accessory allows for tablets to be positioned for the child to touch or view - ideal for occupying children whilst using Ly-on. Requires Activity Frame and Accessory Mount. 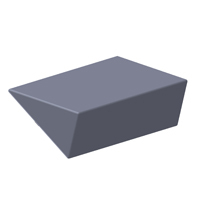 Designed to support tablets of all sizes. 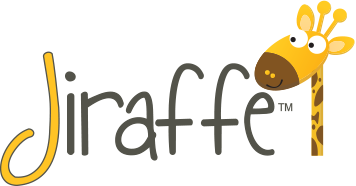 Comes with hook and loop material and creates a level surface to place activities for the child to engage with. 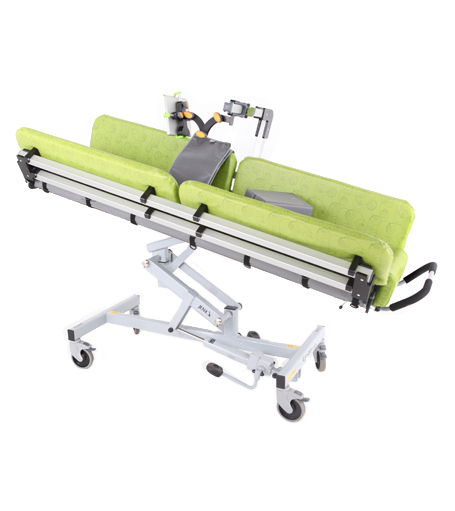 Safely attaches to the side rails – a useful storage area for items such as ventilators and feeding sets. 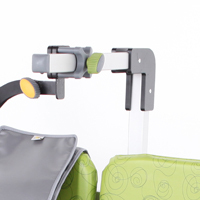 This accessory allows for tablets to be positioned for the child to touch or view – ideal for occupying children whilst using Ly-on. Requires Activity Frame and Accessory Mount. 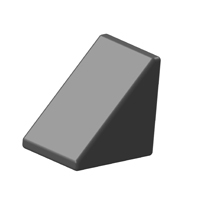 Designed to support tablets of all sizes.